If you’re thinking of giving an eternity ring to your husband or wife, you will be partaking in a romantic tradition that dates back more than 4,000 years to around 2,000 BC. Eternity rings were first worn by the Ancient Egyptians as the circle was seen as a powerful symbol representing eternity. Some of the first eternity rings looked like snakes swallowing their own tail in a cycle of life and death, while early examples of simple eternity rings made from carved bones, beads, metal and gemstones have been found in Ancient Egyptian tombs. It is common to use gemstones and precious metals in eternity rings to symbolise the everlasting and enduring nature of love between couples, a love that can only be ended by death. 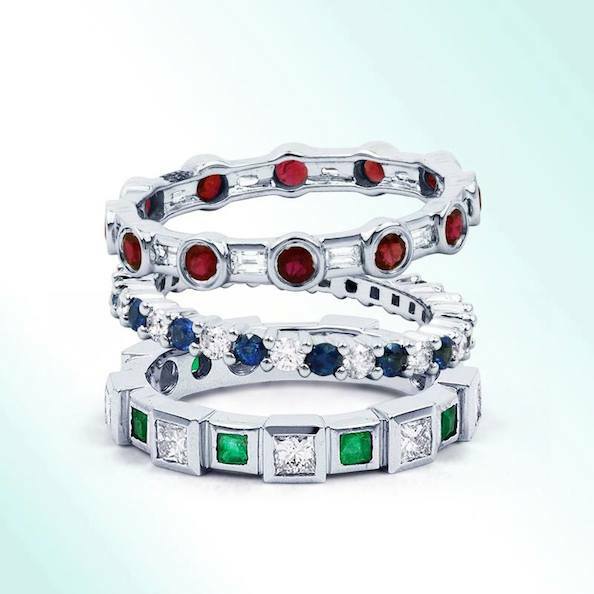 While diamonds are the most common gemstones used in eternity rings because they are indestructible, some people choose to feature gemstones such as rubies, emeralds or sapphires, often to reflect their favourite colour, favourite gemstone, or the wearer’s birthstone. The meaning of an eternity ring as a symbol of everlasting love and commitment has endured since Ancient Egyptian times, so you may want to give it to your spouse as a way to reaffirm your vows to one another or in the event of a special anniversary - eternity rings are often given on Silver (25th), Ruby (40th) or Gold (50th) wedding anniversaries. Going back to the circle of life represented by the snake, you may decide to give an eternity ring following the birth of your first child as a sign of your commitment to your partner as their other half and as parents together. Wedding rings, engagement rings and eternity rings are worn on the ring finger of the left hand because, in the past, it was believed that a vein ran directly from this finger to the heart. It was called the vena amoris, which is Latin for the Vein of Love. Traditionally, people have always worn their wedding rings closest to their hand (and heart) and then put their engagement rings on to stop the wedding ring from falling off. If you give your other half an eternity ring, they will probably want to put that closest to their heart, in front of their wedding ring, but this is very much down to personal preference, depending on what looks best and feels comfortable. 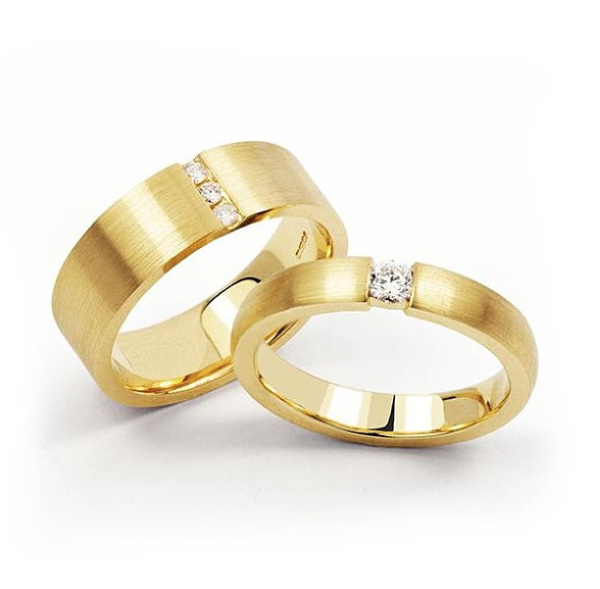 You may have heard people talking about full eternity rings versus half eternity rings. A full eternity ring is basically one that has an unbroken design – usually of gemstones, such as diamonds – running round the entire band. A half eternity ring, however, just features gemstones on the upper, visible half of the ring with a plain band around the back of the finger. Both rings represent continuous, eternal love. 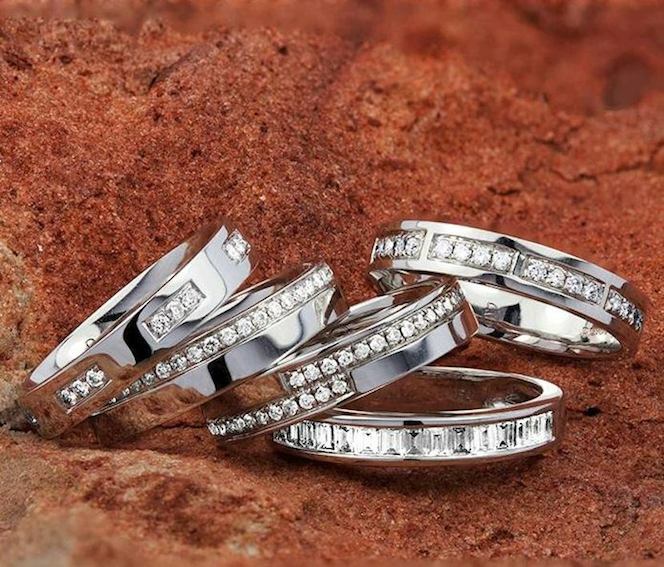 Here at Diamond Boutique, we offer a stunning range of eternity rings suiting most budgets and tastes. The eternity ring you choice for your love is bound to have very personal and sentimental associations. We even have an online personal shopper service to help you find exactly the right eternity ring, whether you’re looking for a band of white gold and sapphires or a designer eternity ring featuring tanzanite and diamond. If you can’t find the eternity ring that you dream of your other half wearing for the rest of your lives together, then you can always use our custom jewellery design service to get us to design and make the perfect eternity ring. Explore our eternity rings collection to begin the next chapter in your lives together and your commitment to that special someone.